Bianco Evento GmbH – The retailer for great fashion products at the best price. Fashion trends products do not have to be expensive. 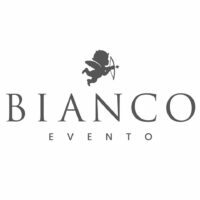 Bianco Evento GmbH promises to deliver the latest trends, quickly and at much better value, and in doing so we strive to create a memorable shopping experience for each and every one of our customers. Our success has only been made possible through amazing teamwork. We are driven, passionate and determined to make things happen. With a team made up of over 10 nationalities, we combine our wide range of experiences to consistently optimize everything we do. Bianco Evento GmbH is not your average company: We move fast, thrive under pressure and refuse to take no for an answer. Striving for world-class quality and performance is at the core of our philosophy. We love our work and we will go the extra mile whenever it is needed. It is of utmost importance to us to have an atmosphere that fosters open communication and allows new and creative ideas to come to the fore. You respond to customer requests and complaints using all forms of communications e.g. telephone, e-mails, letter.